This is a project I have been considering for a long time with all the news out that the bees are in trouble. Bees are the reason we have most fruits and vegetables as a food source and we need to do our part so we can keep enjoying those and so our plants don't become extinct. I think for this reason bee keeping has become very popular again and more and more people are starting their own honey bee hives. Harvesting your own honey is a great asset too! Basic equipment needed to start: bee protective suit, protective gloves, hive tools, bee smoker and a bee brush. 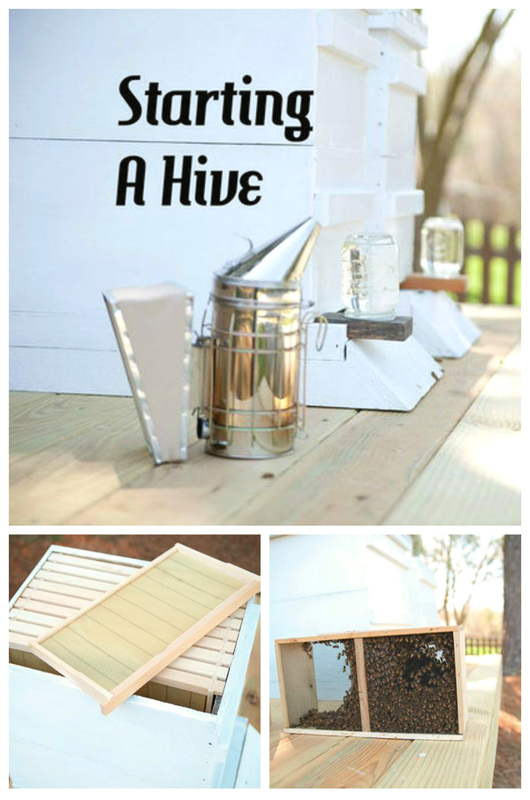 I found this great article on how to start a honey bee hive and it even includes some beekeeping tips.